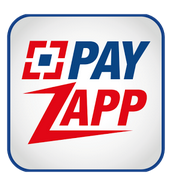 1.First Download PayZapp App from Here. 3.Initiate Recharge of Rs 300 or Above. 4.Pay amount with HDFC Bank DC/CC. 5.That's it,50% Cashback (Max 150) will be credited in your account on 30th october 2015. 1.This offer is Only for HDFC Bank Customers. 2.Max cashback amount is Rs 150 on Minimum recharge of Rs 300. 3.Pay amount with HDFC Debit Card/Credit Card only,To avail this cashback offer. 4.Recharge must be done between 1st September to 31th September 2015 to eligible for cashback. 5.No Promo code Required for this offer. 6.Cashback will be credited by 31st October 2015.